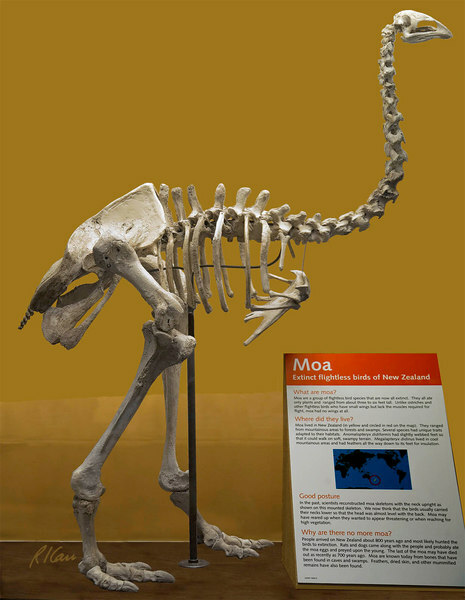 Dinosaur/prehistoric animal skeleton: Moa, a large extinct flightless bird of New Zealand, is completely wingless. Height ranges from 3 to 6 ft. Extinct for last 700 years from hunting and from destruction of eggs. Exhibit Museum of Natural History, University of Michigan, Ann Arbor, July 2006.